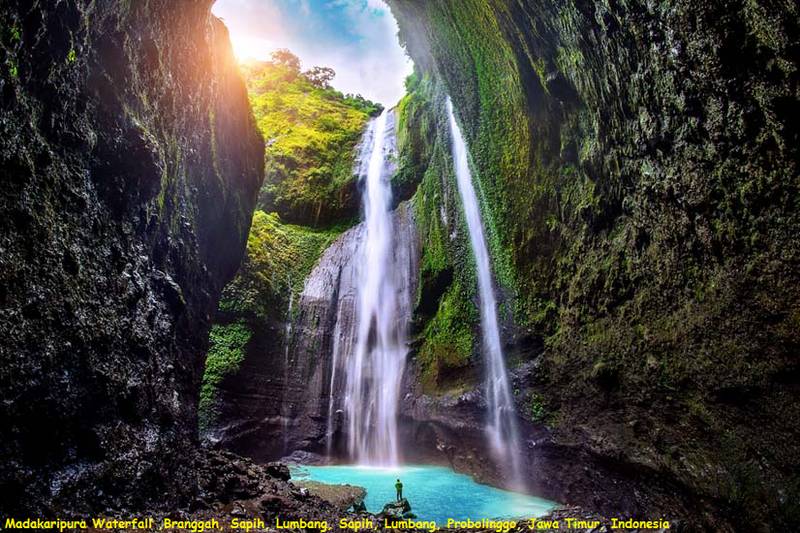 Beautiful and powerful Madakaripura waterfall is one of the waterfalls in the area of Bromo Tengger Semeru National Park. It’s the biggest waterfall in East Java. The water has cascades from the dense forest above. You need to go 20 minutes and climb the cliffs before you can see the main waterfall. But the stunning glory of rumbling water going down from the cliff is worth the effort for sure. To be precise, the Madakaripura is a set of seven waterfalls, the biggest cascade of which falls from a height of 200 m. The bottom part of waterfall is no longer flowing streams of water, it turns into a mist of cold prickly rapid splashes.